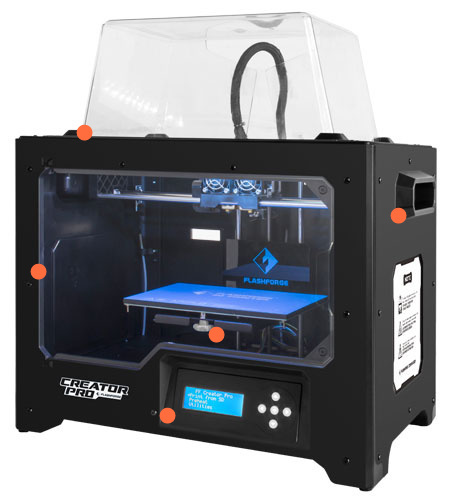 Introducing the latest revision of the Flashforge Creator 3D Printer, the Creator Pro 2016. This new model offers all the performance of the previous Creator printers but with further improvements making it one of the best value for money printers available. Some of the changes include a one piece acrylic cover, improved side handles, angled LCD and control panel for easier viewing and an updated power supply. You can now also take advantage of Flashforge's slicer, Flashprint. Upgraded from the outside in, the Creator Pro is a very reliable 3D printer with excellent precision on and professional quality. 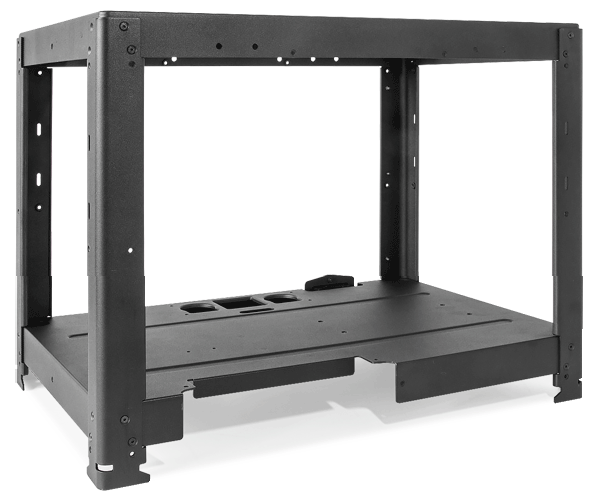 The sturdy metal frame increases stability of the printer's moving parts. 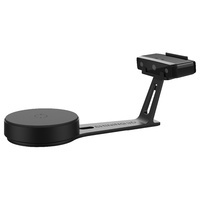 A metal paltform support and 10mm Z-axis guide rods allow for precise movement of the Z-axis. 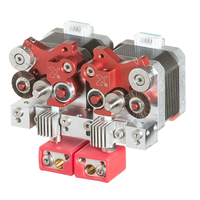 The build plate is also made from 6.3 mm aircraft grade aluminium. Thanks to the proprietary dual extrusion system and enclosed chamber, the Creator Pro can print a wide range of materials including ABS, PLA, PVA, TPU and even composite materials such as Colorfab's Woodfill, Copperfill, Brassfill and more.
" FFORGE-CPRO2016-NO,,Flashforge Creator Pro 2016 3D Printer,,, FFORGE-CPRO2016-S3D,,Flashforge Creator Pro 2016 3D Printer with Simplify3d™ Software,,, FFORGE-GUIDER2,,Flashforge Guider 2 3D Printer,"
The newest model in the Flashforge family boasts a sealed printing enclosure to keep heat in and reduce the warping issues associated with ABS. It also has a 3.5" LCD touchsreen panel allowing easy access to printer settings without the need for a laptop. Important printing information is also displayed during printing such as extruder temperature, bed temperature, print progress and print time. With Wifi connectivity you can easily transfer your files from your PC to the onboard 4gig memory without having to plug in a USB cable or SD card. The Flashprint software makes arranging your parts for printing quick and easy with it's intuitive layout and fast slicer. You can even use open source slicers such as Slic3r if you prefer! 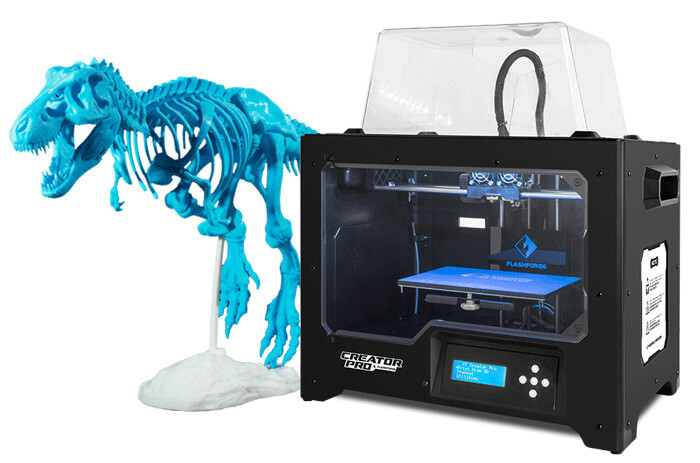 Great workhorse 3D printer. Excellent, easy out of the box set up. Makes great single and dual prints in ABS, PLA, ABS dual, ABS HIPS dual. S3D single prints far better finish quality than Makerware with standard profiles. Recommend makerware users slow down speeds from 90 - 150mm/s (print and travel respectively) to something more like S3D (ie 60-70mm/s for print moves and 70-100mm/s for travel) to achieve nicer quality prints and less mechanical abuse of the printer. Highly recommend buildtak with this enclosed printer as it makes ABS prints stick every time (recommend always using rafts for ABS). Easy transaction, great friendly communication and quick delivery. Unboxed the printer set it up had it calibrated and printing in about an hour and I have never used one before. Printing with both ABS and PLA plastics. Had an issue of the flashprint would not work on my mac book. But I found an update for it online that sorted that out. I have had a few days now and no failed prints, well a couple user errors not the printers fault lol. 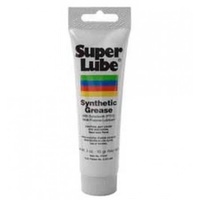 I would recommend this to any user great product. Best service I have every had. Jamie has been brilliant, I will be buying all my 3d printing gear from them. Works well from day 1. Works well from day 1. Excellent service from Jamie.